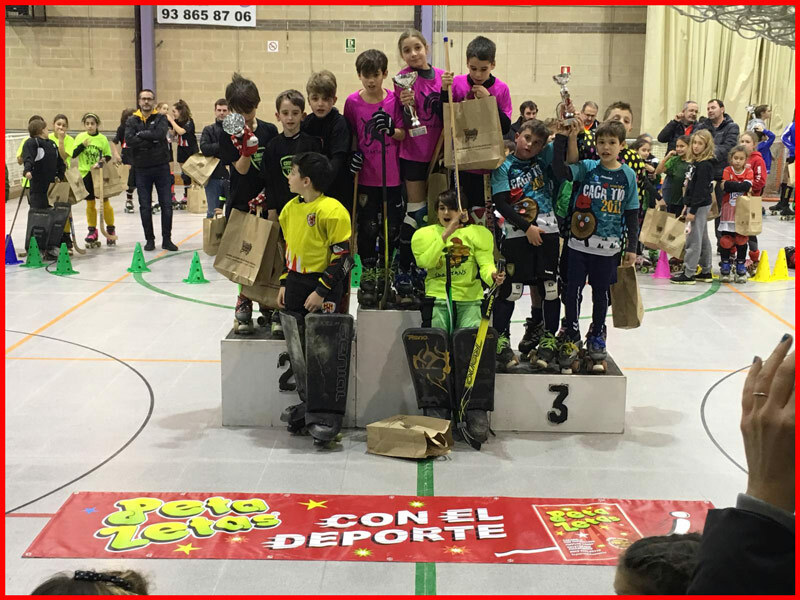 The first edition of the Peta Zetas® Roller Hockey Trophy was held last January 4th. This event, organized by the Club de Hoquei Bigues i Riells and open to clubs throughout Catalonia, was a great success for participation and sportsmanship. Athletes of various categories participated in the tournament that lasted all day. The event provided good sport, fun and lots of Peta Zetas® to players and fans. Thank you all for participating in this party of sport and fun, with Peta Zetas®, one of the most recognized candy brands for children, young and adult alike.